In May 2017 six new metro mayors were elected in combined authorities across England, but what are they and what do they do? In May 2017 a number of areas elected a metro mayor (or combined authority mayor) for the first time. On this page you can find the answers to a series of questions on what these new mayors do and what that means for other local politicians and your local council. This FAQ is part of a broader programme of work Centre for Cities has been conducting on the newly established metro mayors. We have hosted events in the places getting mayors and published data on each metro area. Go to the ‘Getting ready for mayors’ page for more blogs and analysis or get the facts and figures for each metro mayor region. If you have a question on the topic that has not been answered below, please email info@centreforcities.org. What is a directly-elected metro mayor? Why have so many places got a directly-elected metro mayor? Who has a directly-elected metro mayor? What can the new directly-elected metro mayorsdo? Where are the devolution deals, and can I read them? Does having a metro mayor mean that local authority leaders have less power? What do the new metro mayors mean for local MPs? What does having a metro mayor mean for police and crime commissioners? How is a metro mayor different from a city mayor or lord/ceremonial mayor? How do the existing city mayors work with the metro mayors? Some cities rejected elected mayors after referenda in 2012, why has this been ignored? Some places used to have a mayor but don’t any more, can this happen with metro mayors? How do the metro mayors govern and who do they work with? What checks and balances are the metro mayors subject to? When are the metro mayor elections and how do they work? Who are the current metro mayors? Where can I read the manifestos? How does a directly elected mayor work with their local political party? A metro mayor is the chair of a combined authority that has agreed to a Devolution Deal and is voted in by the electorate in the combined authority area. These combined authorities are made up of several local authorities. A directly-elected metro mayor will have powers and responsibilities to make strategic decisions across whole city regions, in contrast to existing city mayors (which are also directly elected) or local council leaders that only make decisions for, and on behalf of, their local authority. Eight city regions have an agreement with national government on a devolution deal so far and seven have elected their mayors. Six were elected in 2017 for a three year term, and one (Sheffield City Region) in 2018 with a four year term. North of Tyne will elect its first mayor in 2019. Why have so many places got a new directly-elected metro mayor? These new metro mayors are being introduced in England as part of the Government’s devolution agenda, which allows for combined authorities to take on more functions, over and above those they were allowed to take on under previous legislation. The Cities and Local Government Devolution Act, which became law in early 2016, states that, in order for a combined authority to be given these powers, a metro mayor must be elected for the area. 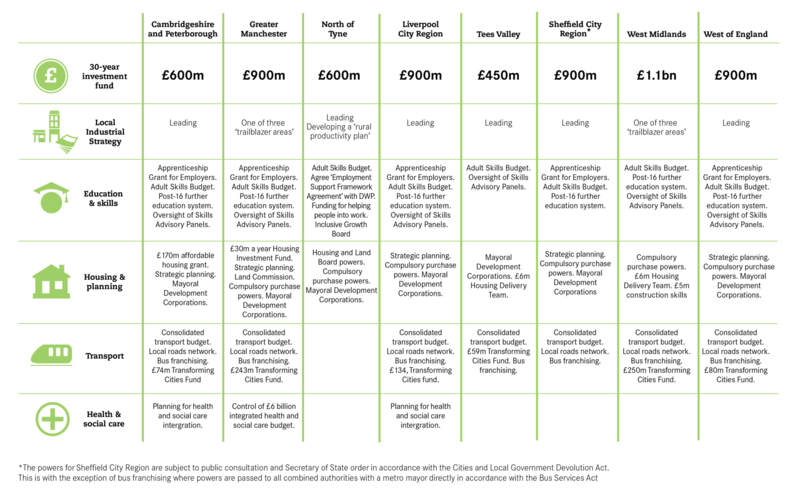 The exact functions the combined authority and metro mayor will manage will vary across combined authorities, depending on the content of the devolution deal reached with central government. There are seven combined authorities that have actively progressing devolution deals and six have elected a metro mayor. The combined authorities are made up of constituent and non-constituent authorities. Constituent authorities have full voting rights and cannot be a member of another combined authority, non-constituent authorities can be non-constituent members of another combined authority, but it is the decision of the combined authority whether or not non-constituent members have a full vote. The following city regions have devolution deals and have, or are soon to, elect a metro mayor. Constituent: Darlington, Hartlepool, Middlesbrough, Redcar and Cleveland and Stockton-On-Tees. Constituent: Bristol, Bath & North East Somerset, South Gloucestershire. What can the new directly-elected metro mayors do? The directly-elected metro mayors are responsible for setting out a strategy for growing the city region economy, and will have certain powers over issues such as housing, transport and skills. Previously the majority of these powers lay either with individual local authorities, such as most planning or local transport decisions, or with national decision makers, such as the adult skills budget administered through the Skills Funding Agency. Exactly what the metro mayors are able to do is determined by the individual deals that each city-region has agreed with government. Due to different capacities, appetites and abilities to deliver, the deals vary in size and scope across different city regions. 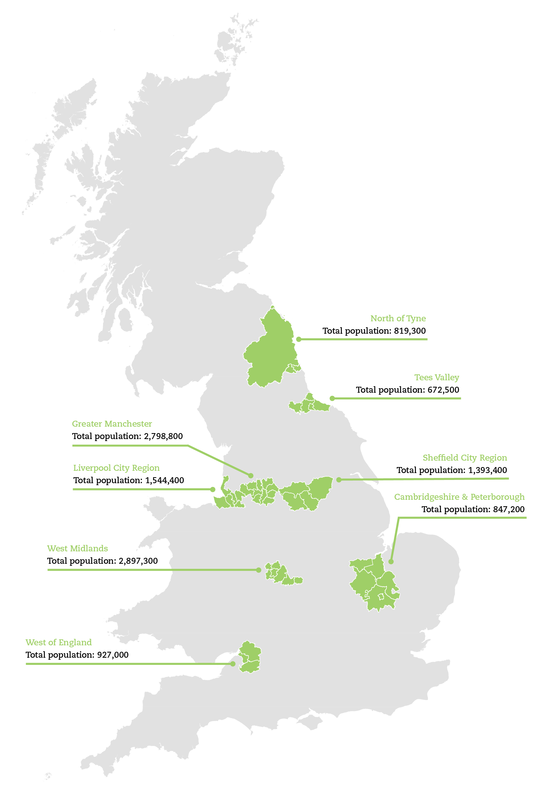 The majority of city regions are focusing on gaining powers over skills, housing and transport. Greater Manchester has negotiated these powers but has also agreed devolution of more powers over criminal justice and health and social care. Over time, the powers of the metro mayor may increase, as has happened in London. The Devolution Bill is a deliberately non-prescriptive and enabling piece of legislation that allows for the devolution of almost anything – housing, health, welfare, policing and more – to a local level. The limit to the level of devolution under this model will be the willingness and ability of local and national politicians to reach agreement on what other functions may be devolved in the future. For those places still yet to formally agree a devolution deal and metro mayor, proposed devolution agreements are available online. However, these agreements are still subject to a vote by all the constituent authorities in the proposed combined authorities. This could mean that local authorities are removed from the agreement, and will no longer form part of the combined authority and mayoral authority. The metro mayor works together with leaders of the local authority to create a strategy for the wider area, but local authorities will still be responsible for most public service delivery (such as waste management, schools, recreational facilities and fire services). The metro mayor’s job is to focus on wider issues that span across city regions, such as transport, regeneration and economic growth. In the case of housing, for example, a devolution deal may state that the combined authority is responsible for developing a spatial housing framework in order to manage plans across the area, which must be unanimously agreed upon by all local authority leaders in the combined authority. The local authorities in that area maintain the same powers over housing as before, but the metro mayor is consulted on planning applications that are of strategic importance to the whole city region. Formally the role of a local MP is unaffected. They still represent their constituency in parliament and in parliamentary debates. Informally, given their electoral mandate, mayors can also lobby national politicians on policy matters that relate to their area – a role that both previous London mayors were effective in during their terms in office. The relationship between Parliament and the new metro mayors, and individual MPs and those mayors, will evolve over time. Is the metro mayor just another layer of government bureaucracy? Agreeing to a metro mayor also means agreeing to a combined authority, which necessarily adds a new layer to local government. It creates a new role, that of the metro mayor, in addition to local authority leaders, existing city mayors and – depending on whether the local area agrees to merge the two roles or not – police and crime commissioners. With this new metro mayor layer comes a suite of additional strategic powers to support economic growth previously not available at the local level. These new powers need to be exercised across and with the consent of a number of local authorities because in the majority of cases they affect issues like transport and planning, which span across local authority boundaries. For example a new commuter train line might link homes and workplaces in different areas; the metro mayor will have powers to decide where these train lines and homes go. The role of the Police and Crime Commissioner can be merged with the metro mayor if the commissioner agrees. This is the case in Greater Manchester. However, depending on the terms of the devolution deal, the two positions can also run concurrently. This is the case in the West Midlands. It is expected that more city-regions will follow the Manchester example. How is a directly-elected metro mayor different from a city mayor or lord/ceremonial mayor? A directly-elected metro mayor is responsible for the strategic development of a whole city region, made up of several local authorities. A directly-elected city mayor, in contrast, is the head of a single city council or local authority and is responsible for public service delivery within that area. Examples of local authorities that have city mayors in the UK include Bristol, Liverpool, Salford, Doncaster and Leicester. Lord Mayors, quite separate from metro and city mayors, are important promoters of the cities they represent but are ceremonial positions held without decision making powers. How will the existing city mayors work with the metro mayors? Some of the combined authorities that have elected metro mayors have existing city mayors. Liverpool, for example, has a city mayor but has agreed to a metro mayor for the whole city region. Similarly Doncaster, as part of the Sheffield City Region, already has a city mayor but too has a metro mayor. Where there are both metro mayors and city mayors, the city mayors have all remained in place, servicing their city authority and participating in the combined authority cabinet. The city mayor has the same position in the combined authority cabinet as other city leaders, regardless of how they are elected. It is possible though for a city mayoral position to be removed, but this has not happened so far. Some cities rejected mayors after referenda in 2012, why has this been ignored? In 2012, 10 English cities, Birmingham, Bradford, Bristol, Coventry, Leeds, Manchester, Newcastle upon Tyne, Nottingham, Sheffield and Wakefield, many of which now have a metro mayor, held referenda on whether they wanted to introduce a directly elected city mayor to replace their current leaders. All the cities except Bristol voted against electing a mayor. In Liverpool the mayoralty was created in the same year, but without a referendum. The referenda were for the individual local authorities only, even in the case of Manchester where a Greater Manchester combined authority existed. Moreover, these mayors did not come with devolution deals or any additional powers. The introduction of metro mayors, on the other hand, was part of the Conservative Party manifesto ahead of the 2015 general election, and part of their wider plan to devolve more powers from national government to city regions. Devolution deals have therefore been agreed by national politicians with a mandate to act, and local politicians with a mandate to represent their areas. As a result, only a handful of areas have chosen to run referenda on these new deals. The metro mayor cannot be removed as long as the devolution deal and arrangements are in place – this is because a metro mayor is required by law in order to negotiate the devolution of powers. But it is possible for the full combined authority, along with the mayor, to be abolished in its entirety. How will the metro mayor govern and who will they work with? The metro mayors appoint a deputy mayor, drawn from one of the constituent authority leaders, to whom they delegate powers as they see fit. The deputy mayor will also step in if the metro mayor is incapacitated. The mayors will also be able to appoint one political advisor. Together they will work with the combined authority cabinet (i.e. 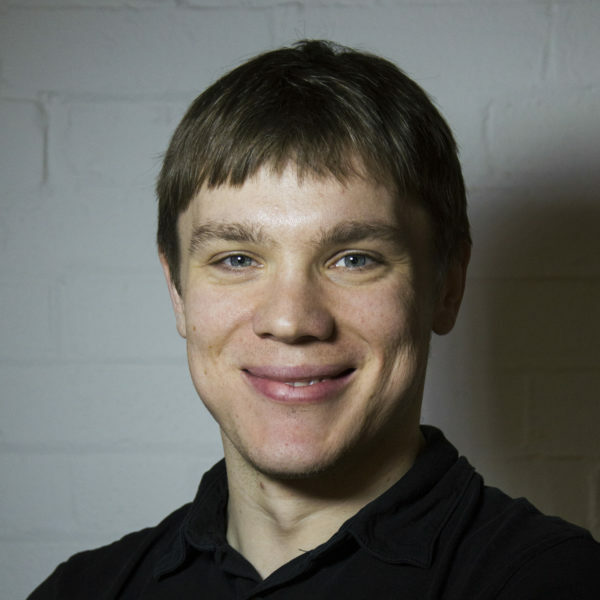 local authority leaders) to run the city region. The metro mayor will be able to hand certain functions to their deputy mayor, or any of the local authority leaders within the combined authority. The metro mayor can also hand these functions down to a committee that they appoint, made up of members of the combined authority. What checks and balances is the directly-elected metro mayors subject to? An important part of the devolution deals negotiated between combined authorities and national government was deciding how the new metro mayors will be scrutinised and held to account. In the current devolution deals, the metro mayor chairs the combined authority cabinet, which is made up of the leaders from each local authority. Rather than the stronger executive powers and assembly scrutiny model that is used in London, most of the deals have agreed that the new metro mayors have to consult the combined authority cabinet on their strategies. These can be rejected if two thirds of the cabinet members do not agree with them. The cabinet also reviews the metro mayors’ spending plans, and is able to amend these with a two-thirds majority. In addition, the 2016 Devolution Bill requires all combined authorities to set up at least one overview and scrutiny committee. Each local authority within the combined authority will appoint one member. The committee has the power to suspend decisions put forward by the metro mayor and combined authority cabinet. The level of scrutiny of metro mayors is higher than that faced by the Mayor of London and other global counterparts such as the Mayors of New York and Paris. But while metro mayors are not able to take decisions affecting the whole area alone, they will have a significant democratic mandate and larger public profile compared to many of their cabinet colleagues. Central Government invites each combined authority to set out the details of how the checks and balances will work in their city region. This needs to work within the framework of the Act and be agreed by the Secretary of State, thus allowing for different arrangements in different places. The first metro mayor elections took place in May 2017, the next election will be in May 2020 and every four years after that (except Sheffield City Region (first elected in 2018), and the soon to be established North of Tyne (2018)). Candidates either run as representatives of a party or independently and residents vote for these individual candidates. As in London, the supplementary vote system is used to elect the metro mayors, unless there are only two candidates. 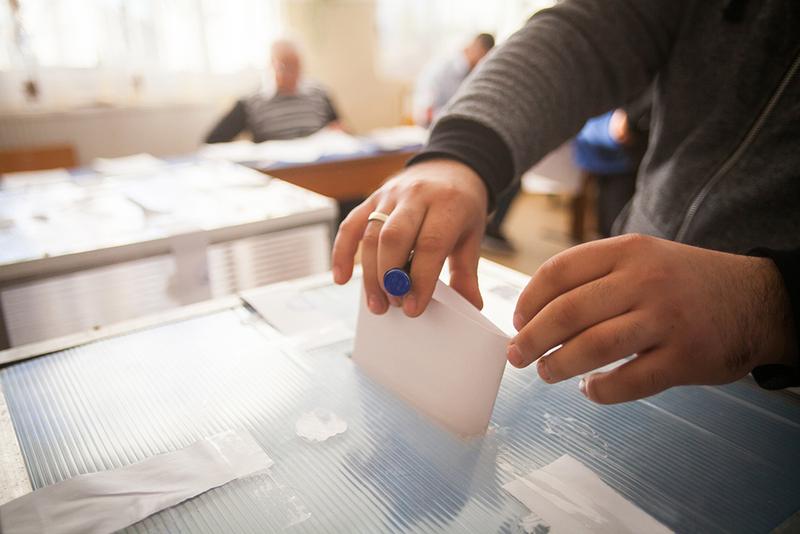 The supplementary voting system, a shorter form of the alternative vote system, gives voters the opportunity to mark their first and second choice. If no candidate receives a majority in the first round, the top two candidates continue to a second round while the rest are eliminated. The second-choice votes of everyone whose first choice was eliminated is counted. There are no term limits set on the metro mayors, so a candidate is free to bid for re-election as many times as they wish. A North of Tyne metro mayor will be elected in 2019. Jamie Driscoll will be running for Labour, while John Appleby is standing for the Liberal Democrats. Greater Manchester: Andy Burnham MP, Labour, (winner – 63.4%) Jane Brophy , Liberal Democrats (6.1%), Sean Anstee, Conservatives (Second, 22.7% after first preference), Will Patterson, Green Party 2.4%), and Shneur Odze, UKIP (2.1%), Others (Independent candidates – 1.6%). Liverpool City Region: Steve Rotheram MP, Labour (winner- 59.3%), Tony Caldeira, Conservative (20.4% after first preference), Carl Cashman, Liberal Democrat (6.8% after first preference), Tom Crone, Green Party (4.9%), Paula Walters, UKIP (4.1%), Roger Bannister, TUSC (2.7%), Tabitha Morton, Women’s Equality, 1.5%, Paul Breen, JURY (0.3%). West Midlands: Siôn Simon MEP , Labour (Second – 49.6% after second preferce), Andy Street, Conservative (winner – 50.4%), Beverley Nielson, Liberal Democrat (5.9%), Peter Durnell, UKIP (5.6%), James Burn, Green Party (4.7%), and Graham Stevenson, Communist Party (1.1%). West of England, Lesley Mansell, Labour (Second place – 48.4% after second preference), Tim Bowles, Conservative (winner – 51.6%), Darren Hall, Green Party (11.2% of first preference votes),Stephen Williams, Liberal Democrat (20.2% of first preference votes), John Savage, Independent (15.0% of first preference votes) and Aaron Foot, UKIP (4.2% of first preference votes). Cambridgeshire and Peterborough: James Palmer, Conservatives (winner – 56.9%), Kevin Price, Labour (18.6%), Rod Cantrill, Liberal Democrats (Second – 43.7% after second preferences), Paul Bullen, UKIP (8%), Julie Howell, Green Party (6.3%) and Peter Dawe, Independent (4.6%). Metro mayors are directly elected as individuals rather than as representatives of national political parties. Unlike local authority leaders who have been selected by their local party group, a directly elected mayor is not dependent on their local political party for their appointment, and therefore cannot be dismissed by that group. Having been elected as an individual by the residents of their city region, they are accountable to them, rather than councillors or party members. Other devolution deals could be developed in the meantime, the North of Tyne will elect its mayor in 2019. The next metro mayor (for the 2017 cohort) election will be May 2020 and every four years after that. If you have a question on the topic that has not been answered here, please email info@centreforcities.org.